Plaintiff lived with his father from 1952 to 1966. He was diagnosed with mesothelioma in 2013 and sued the successor of his father’s employer, alleging negligence. Defendant argued that it owed him no duty; the trial court agreed and granted summary judgment. Plaintiff appealed. 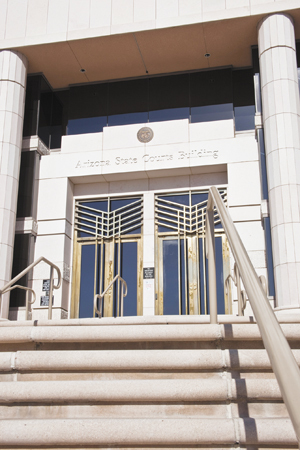 The Court of Appeals affirms.The court recognizes, and in fact insists upon, what our courts often still do not: in Arizona duty is based not, as of old, on the foreseeability of injury but instead on the relationship between the parties and on public policy. Plaintiff tried to establish a special relationship using property theories. Restatement (Third) 54 imposes a duty on landowners for “artificial conditions or conduct” posing a risk of harm to persons not on the land. But, this, according to the Restatement, is “special application” of Rest. 7, which imposes a duty on everybody whenever there’s a risk of harm, which effectively writes “duty “ out of the law, and which our Supreme Court has rejected for that reason. Restatement (Second) 371 is similar to 54 but requires that the landowner realize or should realize that his activity poses an unreasonable risk. “Section 371 thus hinges on foreseeability, which is not part of the duty analysis under Arizona law. . . . We thus decline to apply” it. Burns v. Jaquays (1987) discussed liability for asbestos blown from one property to another, which Plaintiff argued also applied to his case, but the court says that Burns was not a negligence or duty opinion. “A duty of care can also originate in public policy arising from statutes or common law . . . . Absent either, we typically will not find a duty based in public policy.” Plaintiff did not cite statutes or common law other than as mentioned above. He argued instead that he satisfied some additional public-policy factors mentioned in Bloxham (2002) (which in turn had quoted them from an out-of-state case). The court disagrees, being primarily concerned with the huge and unlimited liability involved in giving a claim to anyone who is around anyone who was on anyone else’s property and allegedly came into contact with some substance.